WASHINGTON — The Food and Drug Administration on Thursday approved genetically modified salmon, the first such altered animal allowed for human consumption in the United States. “There are no biologically relevant differences in the nutritional profile of AquAdvantage Salmon compared to that of other farm-raised Atlantic salmon,” the agency said in announcing the approval. Bernadette Dunham, director of the FDA’s Center for Veterinary Medicine, said the agency “has thoroughly analyzed and evaluated the data and information” submitted by AquaBounty. To approve an engineered animal for human consumption, the agency reviews a company’s data and must determine that the food is safe to eat, that the engineering is safe for the fish and that the company’s claim — in this case, faster growth — is accurate. 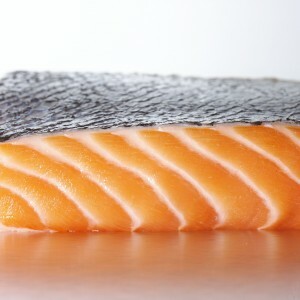 Because there are no material differences between an engineered and a normal salmon, the FDA says the law does not require the fish to be labeled as engineered. That means once the salmon reach stores, consumers may not even know they are eating them. AquaBounty says that genetically modified salmon have the same flavor, texture, color and odor as the conventional fish. The FDA released separate guidance Thursday that would set guidelines for retailers that do want to label the salmon as engineered. Under pressure from activists who oppose genetically modified foods, some retailers have pledged not to sell the salmon at all. And it’s still unclear whether the public will have an appetite for the fish. Genetic engineering is already widely used for crops, but the government until now has not allowed the consumption of modified animals. Although the potential benefits and profits are huge, some people have ethical qualms about manipulating the genetic code of other living creatures. Critics call the modified salmon a “frankenfish.” They worry that it could cause human allergies and the eventual decimation of the natural salmon population if it escapes and breeds in the wild. The salmon has also faced opposition in Congress. Alaska Sen. Lisa Murkowski, a Republican, has vehemently opposed the approval, saying the engineered salmon could harm her state’s wild salmon industry. She called the FDA’s approval “potentially disastrous” and said she will swiftly push legislation to mandate labeling of the modified fish. The FDA said the fish “would not have significant environmental impact.” The agency said the salmon can only be raised in land-based, contained hatchery tanks in two facilities in Canada and Panama, and that other facilities in the U.S. or elsewhere cannot breed the salmon for human consumption. The agency said that there are “multiple and redundant levels of physical barriers” in the facilities to prevent the escape of fish. The fish would be bred to be female and sterile, so if any did escape, they would not be able to breed. The agency said it will inspect the facilities, as will the Canadian and Panamanian governments.